Picture this: 20 to odd 30 years from now, you sitting all cuddled up with your hubby and reminiscing how dapper he looked when he arrived on a ghodi and how beautiful you looked in your designer lehenga or saree when you entered under a phoolon ki chaddar. You transport back to all the fun you had at your mehndi and sangeet with your bridal party. Though for the little details of your wedding, which you simply can’t recollect and would want to catch up on it, you will run nowhere else other than your wedding album. Ace wedding photographers know what a big deal it is to capture those perfect wedding poses. They work tirelessly to ensure what you take back home after all the hullaballoo surrounding your wedding is timeless memories that you can keep close to you for decades and more. When Parikshit - P.K. Suri as he is famously known as, called us to witness what a working day in the life of P.K. Suri Wedding Photographer looks like, we couldn’t help but be thrilled – ok, jumping crazy! 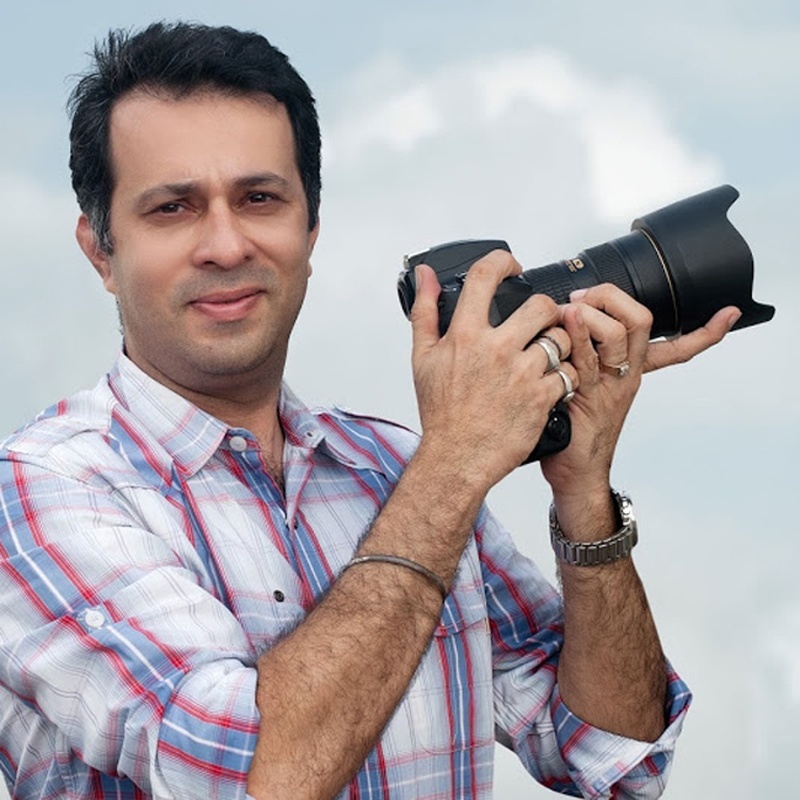 Parikshit Suri has been in the photography business for more than 20 years. His intense knowledge of what naturally clicks with couples has turned him today into the most sought after wedding photographers in Mumbai. With an acute fondness towards well-planned and organized weddings, he doesn’t mind the whole fiasco that revolves around a muddled Indian wedding. Overlooking the entire din surrounding classic Indian weddings, P.K. Suri shares with us exclusively what wedding photographers want brides and grooms to know. Quickly get scrolling to know how useful these wedding photography tips for brides are going to ensure you get some picture-perfect shots. This gives the photographer enough space and time to have a good look at you and ideate on what wedding photography poses and captures will highlight your best features. Indian weddings are filled with rituals and activities that keep the bride and groom on toes at all times. Even then, brides do spend a considerate amount of time with their makeup and/or hairstylist then why not devote the same amount of time with the photographer to give some of your best shots?! Every pre-wedding shoot has a concept. Even if it doesn’t and is just some random clicks, you will still spend considerable time with your fiancé discussing the look and attire, right? Ensure your photographer is involved in that discussion as he/she definitely will have better suggestions and ideas on what will make you look marvellous in your photos given the experience they hold. No matter what wedding jitters you may have or you’re on the verge of switching onto the bridezilla mode, make sure you put on your best smile. Photographers tend to capture your moods when you least expect it. So, ensure the smile doesn’t leave your face. After all, it’s the happiest moment of your life, why frown when your smile can make things thousand times more cheerful. In catholic weddings, immediate family members wear a tiny boutonniere during the wedding celebration, this way it’s easy for photographers to know they are the bride and groom’s family members, take great shots of them and ensure they’re included in the wedding album. Such is not the case in Hindu weddings. Therefore to make sure your chachi ki bua ki bhatije ki ladki is not left out, let the photographer know who they’re well in advance with photographs if not in person. You need to let the photographer know what the light setting is going to be like at your wedding. Just so they are aware of how much ambient light will be there or there are any other arrangements that they need to do from their end. This one is especially for 5 Star hotels as they have their own rules. While some may give you full access throughout the premises. Some have restrictions around the lobby area or the poolside as it might disturb other patrons. If you’re looking for photographs that are not restricted to portrait shots and are more open to conceptual photography, let your photographer know as he will help you be most elegant to your whacky best. Concept shots are neither traditional nor candid. These have more of an artistic approach where a story is told through the mere contents of the photograph. Just like this one clicked by P.K. Suri. No pain, no gain is the way to go. You will have to sacrifice on your beauty sleep and spend twice as much the time with your photographer, because creative poses for wedding pictures don’t come easy. So be prepared. Have fun, fun, fun! The more you enjoy the better shots we get! If you won’t enjoy the best day of your life who else will? Have as much fun as you can because ultimately your inner feelings get mirrored onto the final pictures. His journey began the reverse way. Not with the camera, but printing. He learnt how to print, learnt how to do black and white printing in the dark room, and learnt how to process rolls, handle machinery that is used to process these films, and would see how photographers have captured those photographs and wonder how they got it. The interest of photography started from there. He worked with a couple of friends to understand photography and then did his own cousin sister’s wedding, took a couple of shots and made a small book. He then learned photography with the help of his dad (who was also a photographer), his friends who were into photography - and that is how the journey began. People actively approaching him to click their weddings and since then there was no looking back. What style does he specialize in? Besides wedding photography, P.K. Suri also specializes in fashion photography, cinema, advertisements and editorials for magazines. How many weddings does he shoot in a year? The team targets 40-45 tops in a year, with an average of 3-4 maximum in a month. What is the price range of his packages? To book P.K. Suri for your wedding photography, click here.